Chez Panisse veterans Anthony Tassinello and Mary Jo Thoresen show you how easy it is to recreate the flavors and comfort of your local ice cream shop at home in this irresistible celebration of all things sweet and frozen. 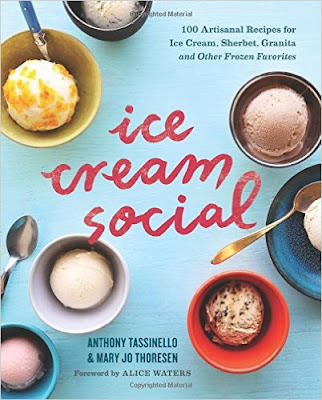 Focusing on simple yet creative flavor combinations, Ice Cream Social walks you step-by-step through basic techniques to make your own ice cream, sherbet, granita, frozen yogurt, and other delightful treats—from the classic and nostalgic to the surprising and festive. Festive ideas and indulgent desserts for all types of gatherings, from kid-friendly events to adults’ only fetes. Whether you’re new to ice cream making or looking for new takes on traditional favorites, Ice Cream Social covers all you need for making luscious desserts that everyone will love.